Stetson man's derby hat, made by Stetson Hats, Philadelphia, ca. 1930s. 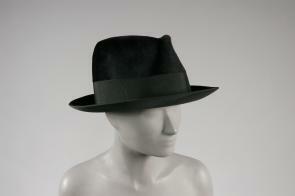 Pale grey wool felt with black grosgrain.